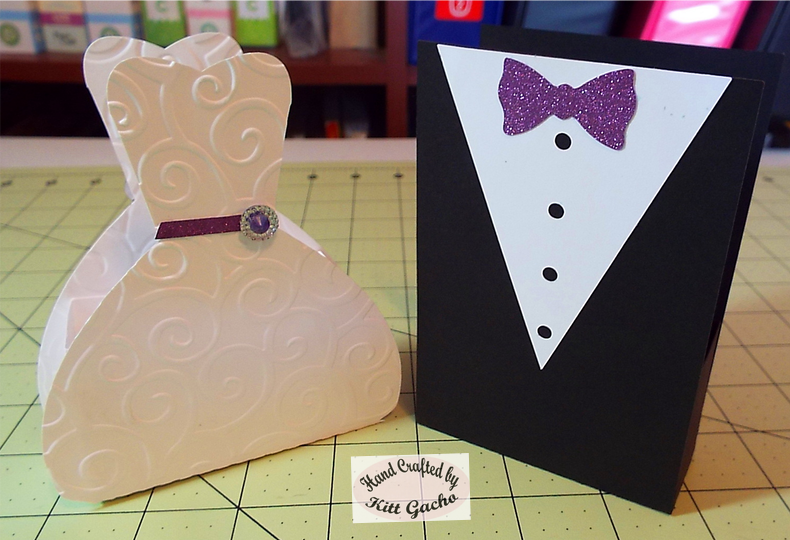 I have been working on my friends wedding invitations and favor boxes. I also created my first video demonstrating how I did the bride's favor box. Follow me as I spread my creative wings into the video world. I will be posting the VIDEO HERE. I would love to hear what you think of my video with your comments at that post. 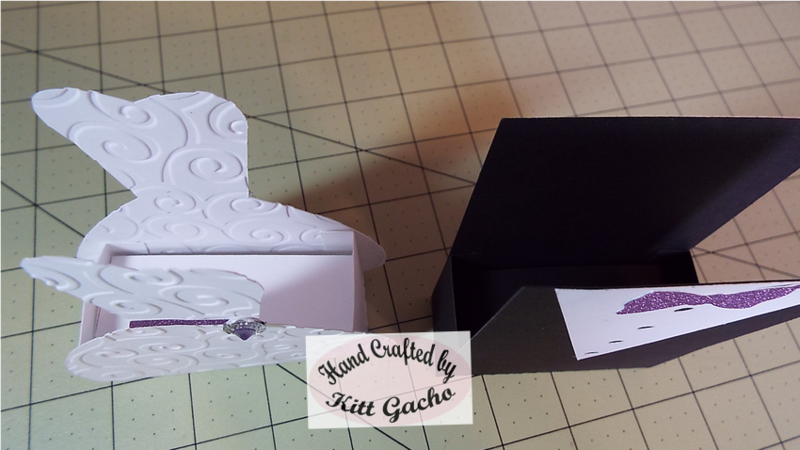 These are the favor boxes I am working on. I've finished the invitations and will be posting them soon. The bride's color theme is purple. Therefore I cut the sash and bowtie out of purple glitter paper I had in my stash. I used Cuttlebug embossing folder for the dress. The pattern for these favor boxes is from the Silhouette store SD#80196 I entered this project in the challenge over at Decorate to Celebrate. Be sure to stop by and see what the talented DT has for your inspiration. Thanks for stopping by today and leaving your comments. I love reading them. Have a happy crafty day. Hi Kitt! These boxes are both so sweet, and sure to be a keepsake for everyone for a long time. I know the bride will be thrilled! Thank you so much for joining my Purple Rain challenge this week, and come back and visit any time. These are fab, such a great idea. Thanks for joining us over at Lil Patch of Crafty Friends & good luck! These pair is so beautiful. Wonderful idea! Thank you so much for visiting our neighborhood, 613 Avenue Create, and joining our Challenge. Have a blessed day! What a fabulous idea! Perfect! These are perfect wedding favour boxes. That is a neat idea to show theme against a tin of drink. this really does give you an idea of their sizes. Thssnkyou for sharing with us at Crafting from The Heart. Hugs ValeryAnne. DT. These boxes are just fantastic.So beautifully designed and will make such wonderful keepsakes.Thanks for joining us at Crafty Sentiments.Hope to see you again next week. Lovely boxes...sure to be well-received. Great to see the size comparison to the can of pop too. Thanks for joining us this week at Inspiration Destination. Hope to see you again soon. Good luck. What fun favor boxes. Thank you for playing in our challenge at http://www.7kidscollegefund.com. Awesome favor boxes and I am sure everyone will love them! Thank you for playing at http://7kidschallengeblog.blogspot.com and hope to see you there in the next challenge! WOW! How fun are these! I am sure they will be properly ooh'd and ah'd over! Thank you so much for sharing this with us at Through The Craft Room Door. Wonderful little wedding favor boxes! Thanks for joining the Simply Create Too challenge! How adorable! 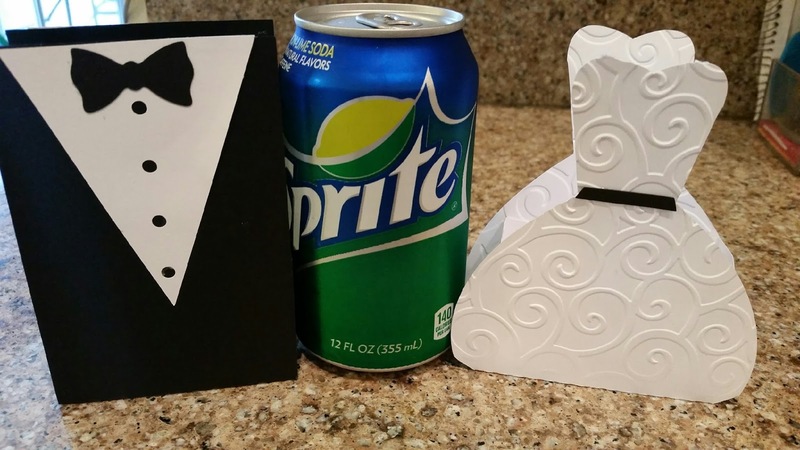 These are super favor boxes for a wedding! Thanks so much for sharing with us at Kraftin' Kimmie's Wonderful Wednesday Challenge! A great card - thanks for joining us at Pattie's Creations Challenge.